Season's Greetings! 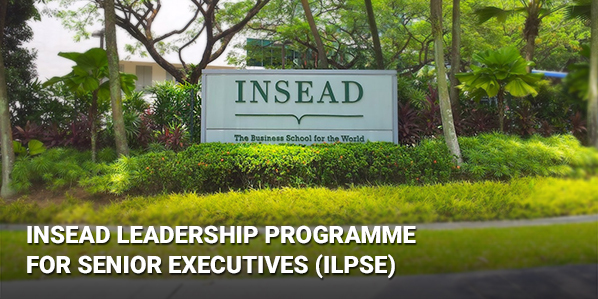 The INSEAD Leadership Programme for Senior Executives (ILPSE) is a 12-month part-time general management and leadership programme. Into its 9th year and transforming 450+ senior executives, this multi-modular programme includes week-long classroom immersions at INSEAD Campuses- Singapore, Abu Dhabi, Fontainebleau and at Mumbai. In today's fast-moving, global business environment, the INSEAD Advantage becomes increasingly clear. For a 1 - 1 conversation on how the programme can benefit you, please email me or reach me on my phone number provided below.